Welcome to the Stronglink Exchange, a place for information, articles, stories, how to guides, spec sheets and much more. Visit the exchange regularly to keep up to date with the latest, or like us on Facebook to stay up to date! See our feature article below. This article is an introduction to Pre-term. Pre-term is exactly as the name suggests. Pre-terminated Fibre - a length of fibre cable with the connectors terminated on each end. 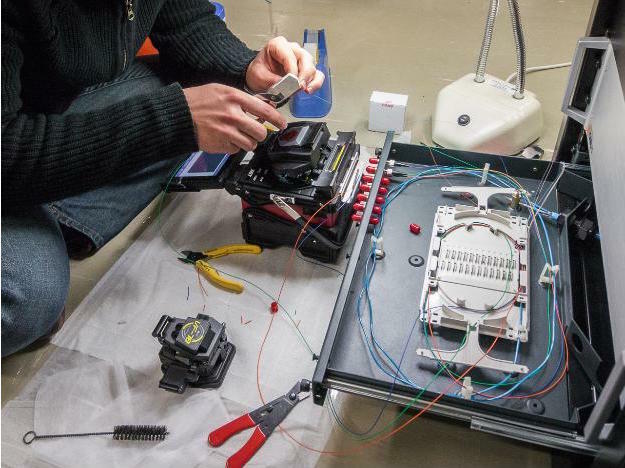 This type of product is usually made-to-order depending on the length, core count, mode, connectors, and sheath type - all the variables we check on for any fibre enquiry anyway. This enables the flexibility to be used in any type of installation from a small 2 metre run between servers in a data centre to kilometre-long runs in underground, rugged, industrial environments. In saying this, there is one small drawback: it is never available off the shelf. When you compare the Pre-Term lead times to the number of hours and days it will take for a contractor to splice and terminate the same number of cores however, nine times out of ten, even with a 3 day lead time, Pre-term will be quicker. So at a glance, the conventional method of installation costs roughly $560. When you look at Pre-term and realise the pricing is roughly the same as conventional fibre installation, it's almost silly not to use it. By using pre-term you also avoid things like excess time on-site installing and terminating fibre, wastage of failed splices and faulty splicing of inexperienced technicians. What length does it need to be? This is usually the distance the fibre needs to go PLUS 10%. What mode of fibre do they need? OM1, OM3 or OS1? What type of connectors do they need on each end? LC, SC, ST, MTRJ? Does the fibre need to be indoor/outdoor or loosetube? Do the connectors need a pulling sock installed? This is a small bag with a hook for the Pre-term to safely be pulled through the conduit. Where do I get pre-term fibre? There are a lot of fibre manufacturers and some are better priced, more reliable, and provide a higher quality product than others. The best way to source a pre-term quotation is to ask Stronglink for a P&A. Feel free to email or call us at any time.